With our new section our aim is to discover artists who can reach beyond the sematic formulas in dance music and with their experimenting new ideas they create unique hybrid of styles. 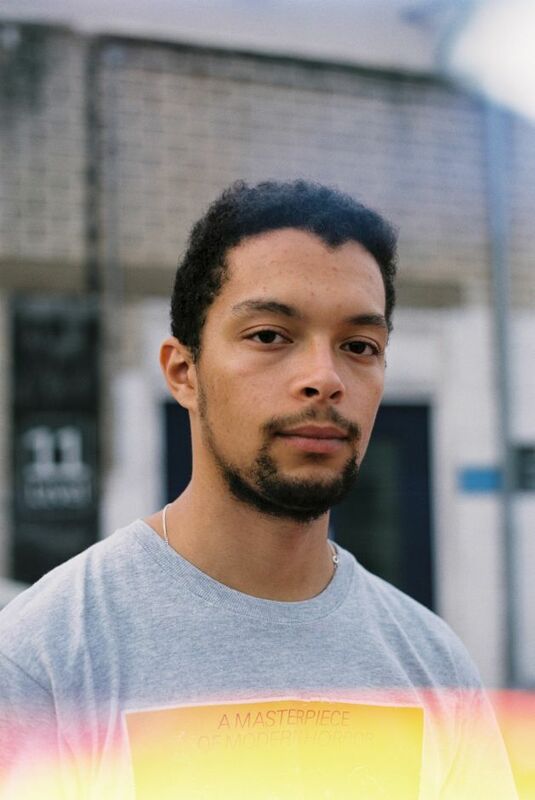 First off we encounter Omar McCutcheon or as the striving new Bristol-techno scene knows him, Batu. The Bristol music scene has been always a defining force in UK dance music, from the legendary trip hop artists through drum and bass, and dubstep/grime pioneers more recently. How all those influences take part in forming your musical taste (if it has) and what drove you to became a producer and DJ? 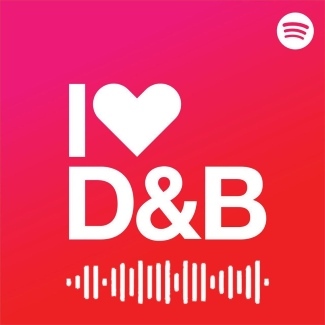 My appreciation of Bristol dance music came about through listening to dubstep. Peverelist and Pinch especially brought something different that didn’t really exist within the London microcosm at the time. There was a lot of references to Techno and other material that wasnt really part of the “London sound”. I didn’t have any knowledge of any of that music then really, but I appreciated that Bristol had its own identity and that definitely enticed me. My real affinity with the Bristol scene came later when more artists started making music that was Techno tempo, but very informed by UK dance music. 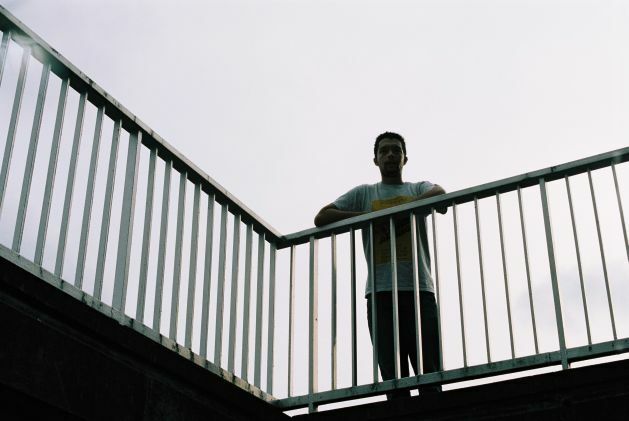 Tracks like Pinch’s “Croydon House” and early Livity Sound material instantly connected with my tastes and where I saw my music going. What drove you to became a producer and DJ? I was in bands a lot growing up and wrote a lot of songs. When I ran out of inspiration and got introduced to dance music it made perfect sense to start producing and DJing. The transition felt natural. I’ve been writing music for the majority of my life now, I think if I stopped writing dance music I would have to find another outlet to express myself through sound. on a new track? Also how your studies at Bath Spa University developed your skills? There was a variety of reasons why I didn’t release much in that time. But I never stopped writing. It’s been nice to come back properly this year though and get a lot of music out. My production techniques and processes vary depending on what software and sounds I have recently discovered. Its best to keep things interesting and not get too stuck in a rut I think. I think my course taught me a lot about the importance of making sounds that have character and don’t rely on standard techniques that are used in abundance. I think the best producers strive to make sounds that are true to them. You have just launched your own label Timedance with two releases already out. Both makes me feel like I got into a new dimension where dark, semi-industrial techno and idm is mixed with bass-heavy grime and dubstep – in a way has never been mixed. How would you describe your own sound? What’s your agenda with the imprint and how difficult it was to launch a vinyl label? Don’t think I could describe my sound accurately really! The only way I can describe it is a mixture of specific of my influences that is personal to me. My agenda is fairly loose, I want tracks that I think are exciting, with an eye on the dancefloor but are also daring and ambitious. I think as the label grows people will get a better idea of the aesthetic I’m aiming for. Launching the label was stressful and time consuming, but also rewarding. I can’t wait to get more records out on it. you think about remixes otherwise as you havent made any (if I’m right)? Hard question. As a general rule I’m against remixing classics as changing seminal tracks often sounds corny. Why change something that is already perfect? Having said that, I thought the Blawan remix of Black Rose was great. My ideal track to remix would be something with interesting source material from something completely unrelated to what I usually do. I’d love to remix some pop artists some day. Pushing boundaries has always a risk of loosing attention from the audience – it needs more understanding and open minds. How can you balance this in the club scene which has a more strict functionality then home listening? I think its important to keep both in mind. Knowing the context you’re aiming for is essential. A lot of my favourite art relies on the audience engaging with it on a deeper level, and I think that’s a good thing. Equally though, if you are alienating people, then they are not gonna be interested in the first place. This is something I consider a lot. Ultimately dance music needs to work in a club, but if you give people a chance to experience something different often they won’t respond as badly as you think. It seems UK urban music is somehow deeply rooted in gritty and heavy “street” sound. You also have a very distinct darkness wich you’re seem to be very committed to. How do you see yourself and your approach to that mood in the future and the future of the genre(s)? I think for the most part the grittiness will remain in my sound. But I think with time I’m appreciating colour in music more. It’s all about finding interesting ways to present it though. I’m not against writing music which isn’t dark for sure, I can sometimes find it a bit stifling. Having said that though, I love the physicality of dark, bassy music in a dark room. Theres something liberating to that atmosphere which I think is really important!